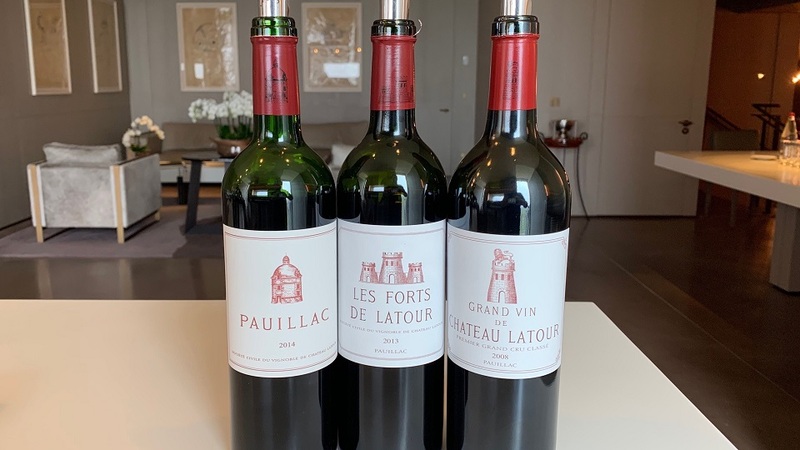 These are the new releases from Château Latour, which since 2012 has released their wines only when they are deemed ready to drink, rather than following the typical Bordeaux schedule for bottled wines. The exception is the 2008 Grand Vin, which is essentially being re-released this year, whereas the 2014 Pauillac and 2013 Forts de Latour have not been available previously. I tasted these wines during a visit to the property in April 2019. The 2014 Pauillac de Château Latour is a refined and polished wine that expresses the gracious, mid-weight style of the year nicely. Sweet tobacco, cedar, mint, earthiness and wild cherries add aromatic dimension. The 2014 is just starting to enter the early plateau of its optimal drinking window. I would prefer to drink it over the next 7-10 years. In 2014, the Pauillac is 50% Cabernet Sauvignon, 43% Merlot and 7% Petit Verdot. 90/Drink: 2019-2029. An attractive wine, the 2013 Les Forts de Latour has turned out beautifully, even if it is a bit more angular than it was en primeur. Bright acids and sharp tannins give certain edginess that suggest the Forts de Latour might need more time, but then again, the 2013 probably doesn't have the stuffing to support more than medium term aging. Hints of sweet spice, herbs, leather, tobacco, grilled herbs, and menthol accent the nuanced finish. All in all, this is a very pretty 2013. The blend is 63% Cabernet Sauvignon, 35% Merlot and 2% Petit Verdot. 91/Drink: 2020-2033. The 2008 Latour is dark, brooding and virile, with huge tannins that convey an impression of gravitas. Grilled herbs, leather, sweet pipe tobacco, iron and cedar add to the wine's distinctive aromatic complexity. There is plenty of density and richness, but the color and slightly advanced flavor profile are a bit out of character. Ideally, at this stage Latour should exhibit more freshness and vibrancy. Of course, it is possible the 2008 might remain at this plateau for many years to come. Time will tell. The blend is 94% Cabernet Sauvignon, 5% Merlot and drops of Cabernet Franc and Petit Verdot. 93/Drink: 2019-2038.